Apr 30, 11.30 am – 1.30 pm Rs 1,000 Jenny is back in Delhi for a day and doing a follow-on to her earlier acro workshops at DR, this time with a focus on handstands and inversions. Whether you’re an experienced acroyogi, jamming at Lodi gardens, or new to the form, do attend this if you can, Jenny’s great. Read on for details and registration. Introducing our new Yeti mascot! We are pleased to introduce our new “yeti” mascot. What’s a Yeti? That legendary creature which lurks in the Himalayas. What a more appropriate mascot for our beloved gym? 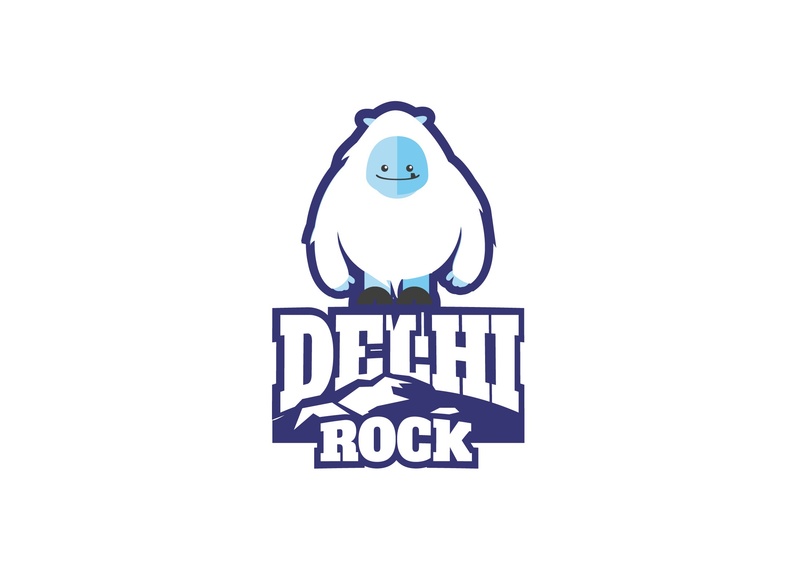 @delhirock: Social Media Campaign In the run-up to Delhi Rock’s 2nd year anniversary on May 4th, we are launching a social media campaign tomorrow. Help us #NameTheYeti! 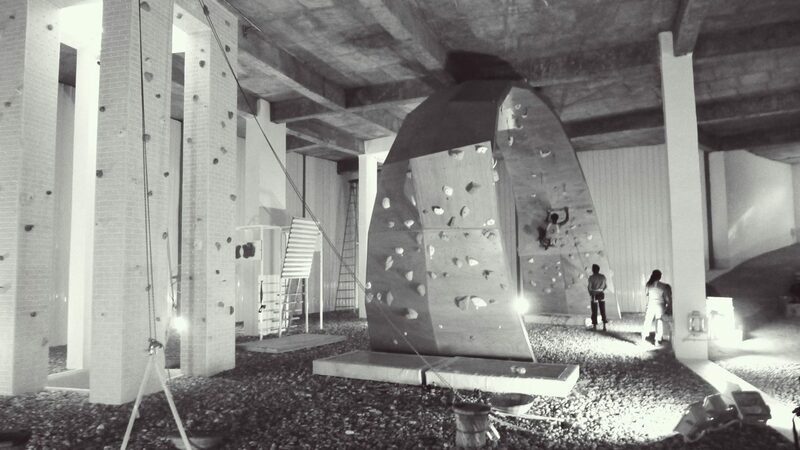 The best name will win our new Yeti T-shirt and a pass to a class of your choice (Aerial silks, Climbing or Krav Maga). 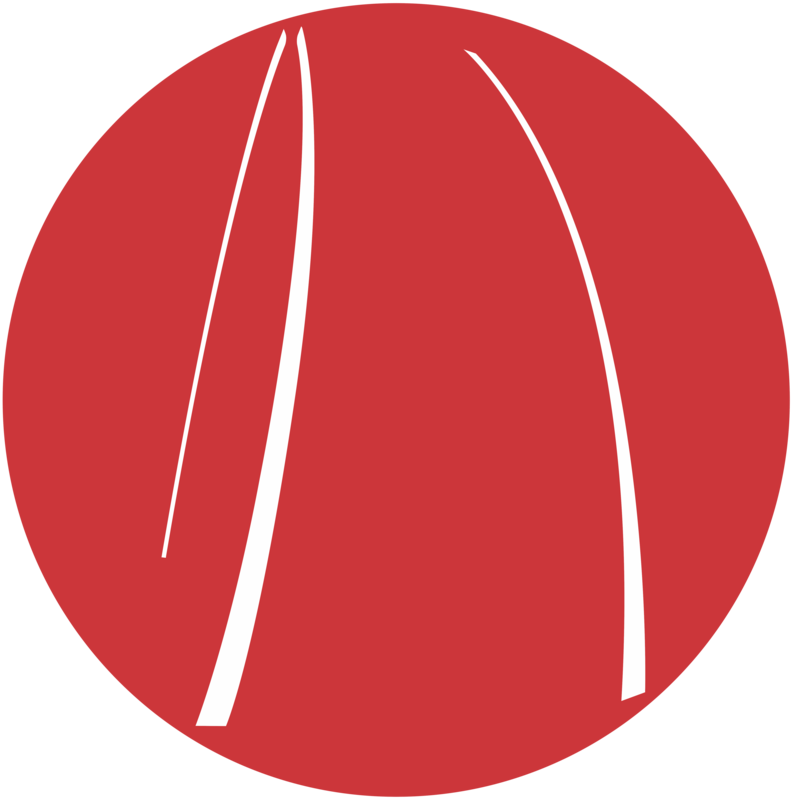 Follow us on Twitter, Facebook and Instagram if you have not done so already! Sat 7th May 11.00 am to 1.00 pm Sun 8th May 11.00 am to 1.00 pm Rs 1,000 for 1st day | Rs 1,600 for both days ABOUT QI GONG The word Qi Gong is composed of two Chinese ideograms: QI, meaning breath, energy; and GONG, representing work, the means utilised, as well as mastering the objective aimed at. Please welcome Lin and Ruta! 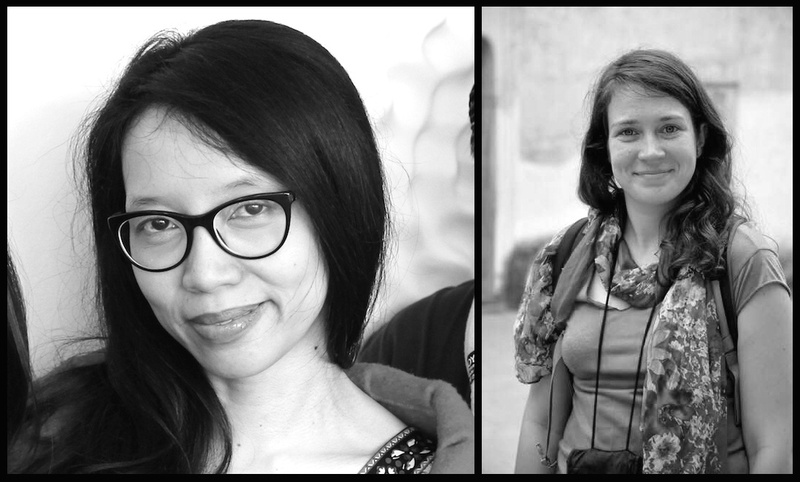 Hi everybody, I’m happy to announce that Lin Rahman and Ruta Sidlauskaite will be coming on board as volunteers at Delhi Rock from this month onwards. We’ve needed a bit more rigour and systematisation at the gym for a while, and with Lin and Ruta helping out, things should improve quickly. Dasha’s students have been working hard on their silks all year, and are putting together a showcase of aerial silks pieces to demonstrate the beauty and strength of this form. Please join us at 5.30 PM on the 3rd of April at Delhi Rock to celebrate their hard work! This is not a ticketed event, you just need to be present at 5.30 PM on Sunday to get your seat for the show. Dates April 1st to 17th 2016 Cost Club format (pay your own costs), estimate 60-85k from Delhi, spend depends on your choice of acco, porters, etc. Everest’s daunting summit soars so high that trekking to its base camp (17,590′) is still an adventure of the highest sort. 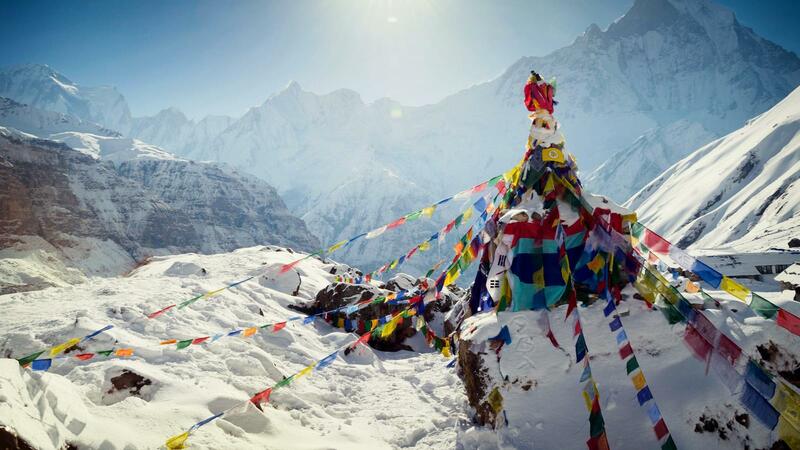 Join us on a 17-day Himalayan trek to Everest Base Camp through some of the world’s most spectacular mountain scenery. Discover the historic treasures of Kathmandu, stay in villages set against soaring, jagged pinnacles; get to know the unique culture of the Sherpas; and walk trails lined with mani stones, engraved with Tibetan Buddhist prayers. Discover remote mountain monasteries and learn about the Sherpas’ spiritual perspective on the mountains they call home. 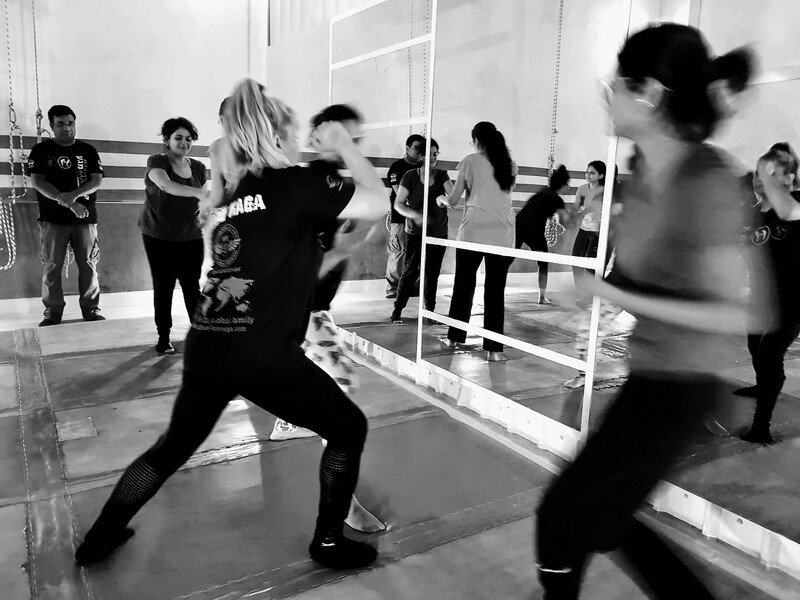 Mar 27, 11.30 – 1.30 & 3.30 – 5.30 Rs 1,000 for one session, 1,600 for both Jenny wanted to extend her workshop series in Delhi after this past weekend’s set, so we’re doing a repeat! Do please come out and join us if you missed the earlier one. 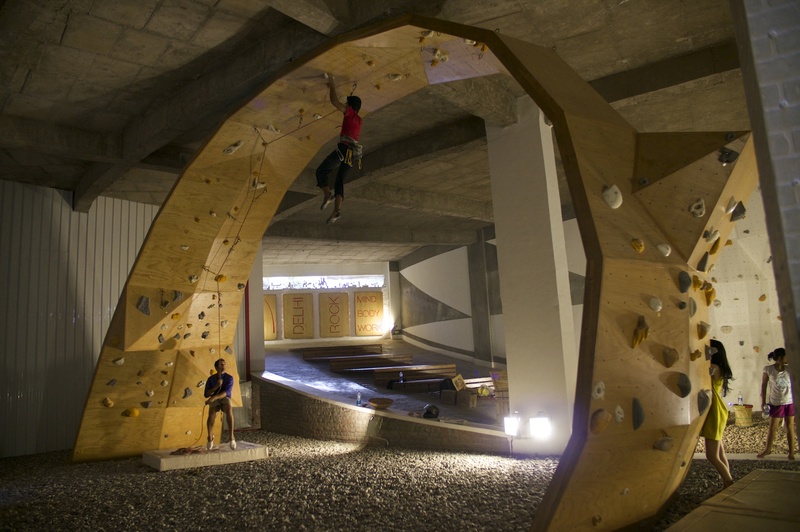 An acro sunday is a wonderful way to prime your week. Read on more for details and registration. Dates March 24th – 27th 2016 Cost Club format (pay your own costs), we’ll be camping, so mostly just transport and food cost for 4 days. 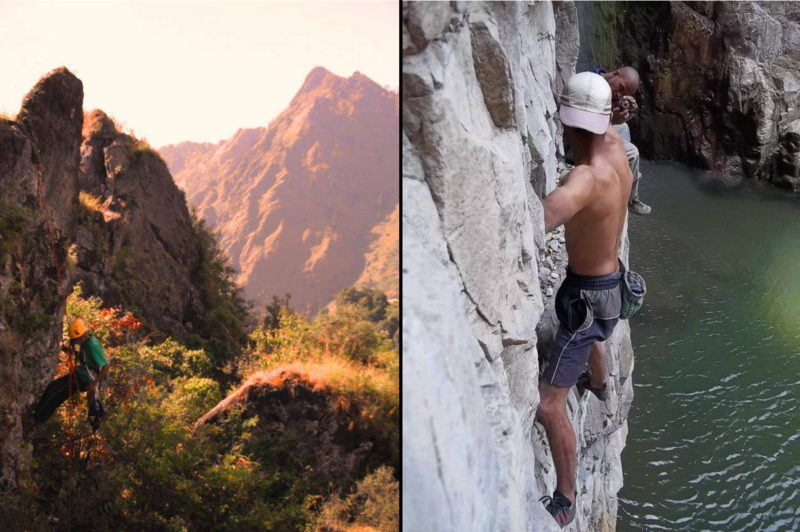 Our friend Anil Belwal has been bolting routes and creating a climbing area up around Nainital, so we thought we’d head up over Holi and Easter to do a climbing trip and visit him. Mar 19 & 20, 11.30 AM Rs 1,600 for both days Jenny’s a wonderful teacher who’s worked with us several times in the past, and is in Delhi for a few days in Feb. 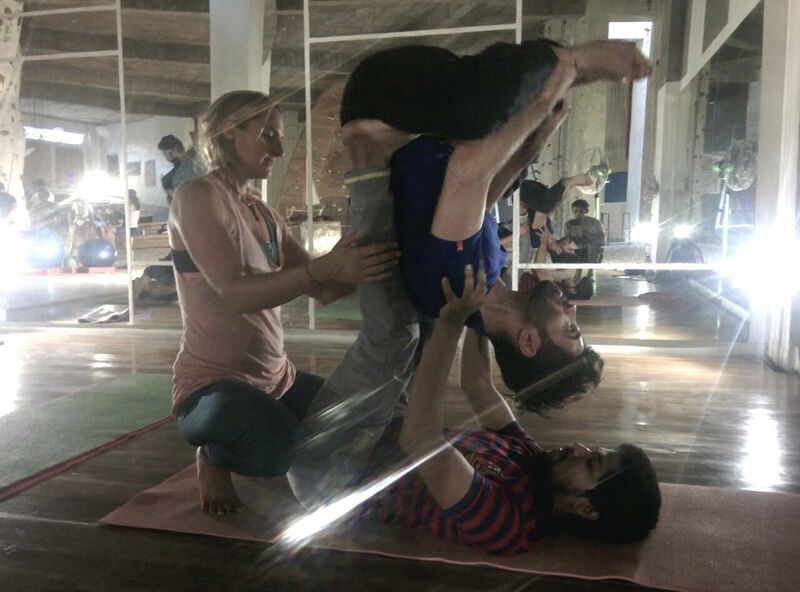 This is a two day Acroyoga workshop suitable for both beginners and intermediates. Here’s a little about Acroyoga: Acroyoga blends the wisdom of Yoga, the dynamic power of acrobatics and the loving kindness of the healing arts. 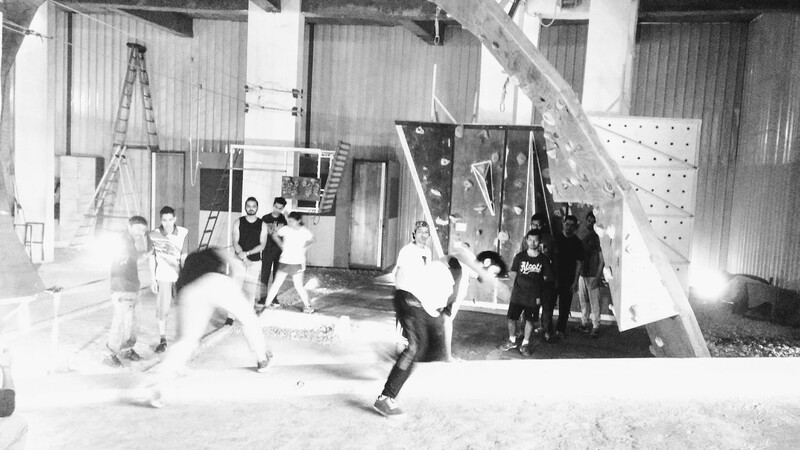 These three elements cultivate trust, playfulness and community. 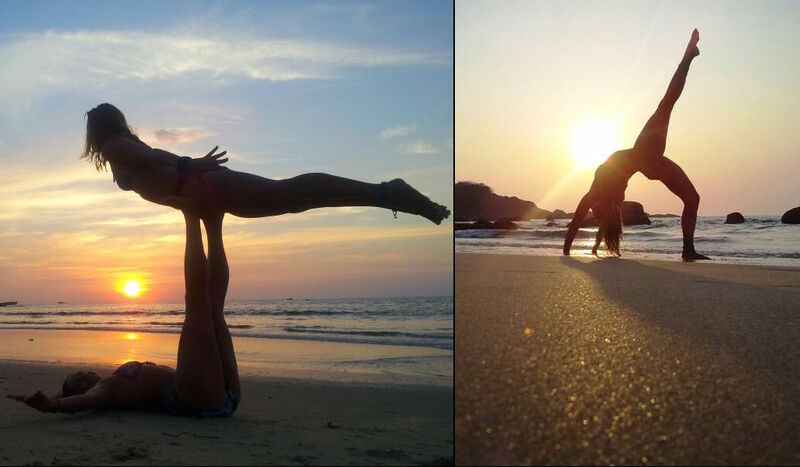 In Acroyoga we play with the opposite energies of giving and receiving, flying and being strong. Like every year for the past five, Delhi Rock is organising a skiing and boarding trip to Gulmarg in February, and would like to invite you to join us! 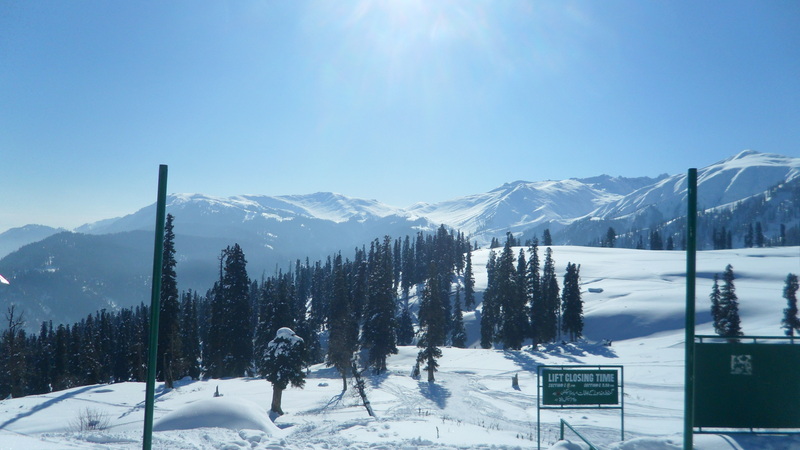 The deal this year: We’ve arranged a deal with our friends in Gulmarg to include your stay, equipment and an experienced instructor to teach you skiing or boarding. If you want to come with us, pick your dates between 30th Jan and 14th Feb, email us at team@delhirock.com, and book your flights!